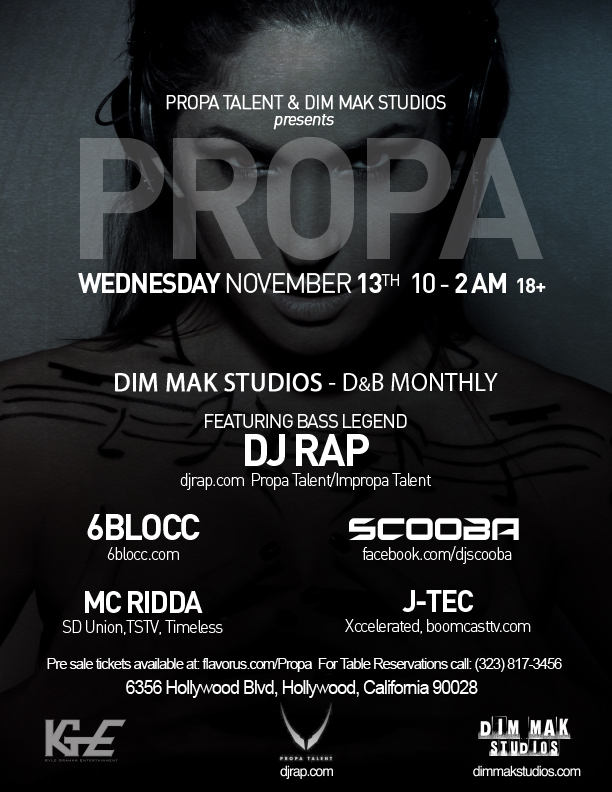 @DJRAP PRESENTS PROPA, THIS WEDNESDAY AT DIM MAK STUDIOS IN LA!! This Wednesday,DJ Rap (Propa Talent) will be launching 'PROPA' her D&B monthly in Los Angeles right in the heart of Hollywood at the legendary Dim Mak Studios! Wednesday November 13 2013. Lets do it 'PROPA' here in Los Angeles! Free giveaways all night from DJRAP & Propa Talent! ◕ Dim Mak Studios, Hollywood, CA. Interested in promoting for the D&B scene? Get to meet great Djs, get paid to bring friends out?